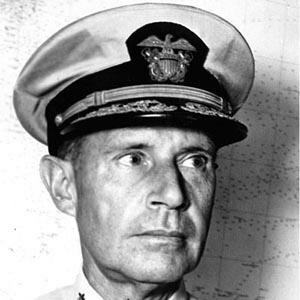 U.S. Navy Admiral who commanded carriers during the Battle of Midway and planned the invasions of Iwo Jima and Okinawa. He began his naval career aboard the USS Iowa. He was known for his calm demeanor in times of crisis. He was born in Baltimore, Maryland, and was raised in Indianapolis, Indiana. His success in battle elevated him to the rank of Commander-in-Chief of the U.S. Pacific Fleet. He took over this post from Fleet Admiral Chester Nimitz.